Frequently in our lives, we encounter events which seem to be random. A tornado rips through a town which hasn’t seen one in 30 years. A child is born into poverty instead of into wealth. A woman contracts cancer and beats it, only to contract cancer again. Sometimes however, events happen which also seem random but work in our favor. A person finds $10 lying on the sidewalk. A woman becomes pregnant with a long-desired baby when the doctor says there is no hope. A family is delayed only to discover that if they had left on time, they would have been in a serious accident. Is there some grander design? Is someone pulling the strings? Are we at the mercy of a world which, however predictable it might be, is ultimately full of undetermined processes and events? We attach reason to randomness, because we try to make rational sense out of a world in which we desire to have control. Even the most powerful among us must at some point admit we do not have ultimate power. So we turn to God. Surely God has control if we do not. Surely there is intention even in the most seemingly random events around us. As I grapple with the notion of God’s essential nature being uncontrolling love rather than controlling power, I realize that I have to let go of the idea that God sends $10 bills my way and delays me so I won’t be in a wreck. I do not think God ensured I was born in America instead of Africa or sent Hurricane Katrina to destroy parts of New Orleans. I simply don’t think it makes sense for me to attribute either good or bad results of these events to God. I find it much more constructive and satisfying to admit the following: Randomness is real. Life is full of chance. So where does this put the sovereignty of God? If randomness is real, God might not be in control. Randomness is not more powerful than God. Randomness is simply a result of the kind of world that would best respond to a loving God. Webster defines sovereignty as “possessing supreme or ultimate power.” Randomness is defined as, “without a particular plan or pattern.” Every effect may have a cause, but an immediate cause doesn’t mean ultimate intention. Thomas Jay Oord, in his book The Uncontrolling Love of God, addresses God’s mightiness and power in the following way: 1) God is mightier than all others, 2) God is the only one who exerts might upon all that exists, 3) God is the ultimate source of might for all others. For God to have ultimate power means nothing is more powerful than God. There is good reason to affirm this. Far from being powerless or weak, God can be the most powerful being but still necessarily influence the creation of a world that includes randomness. Why would this world be the world God influences? A loving God would be intimately a part of such a world, because it’s the only kind of world with which a fair and loving God can co -create. I think randomness is the epitome of fairness. So to influence the creation of a world in which fairness exists, randomness would have to be part of that creation. To explore this more deeply, imagine you had a set of die cut so that the 5 came up more often than the other numbers. Then six people each bet a set amount on a specific number to be rolled. The person who bet on the 5 would win more than the others, because the result of the roll was not truly random. Therefore, it would not be fair. God’s co-creation with humanity includes cooperation with what God would like to do in every given moment. Determinism, design, and dictatorship therefore seems to be off the table. Randomness, chance, and free will are part of God’s nature of love that is uncontrolling, noncoercive, and others-empowering. God gives creation freedom to cooperate fully with what God would like to do, and it is up to us to respond to that calling. Thanks, Cameron! I really like your example of dice! I bet there’s a heavenly choir that rejoices every time this sentences is read. A special thanks to Cameron McCown for your contribution to our ongoing conversation. I’m on board with you and with Tom Oord, You build upon the notion of randomness in creation. I must admit that, sometimes, I wish the world were just a little less random than it is. In your example of rolling dice, you talk about the unfairness of the world if it always rolled six. But let’s imagine that there’s one roll of the dice — say three — that represents total tragedy. Do you think God creates the dice? If so, couldn’t God have created dice with all the numbers except three? (Hard to roll, I know.) Or, by contrast, do you think the dynamics of randomness co-exist with God, but were not created by God, such that even God does not choose the exact numbers that can be rolled? I think Tom Oord would choose the latter. In any case, there is so much in our world that seems and feels “random,” sometimes happily so and sometimes tragically so, that I’m content to live with the metaphor of “randomness” itself and let Tom (and you) work out the details. Fantastic way to look at this, Jay! 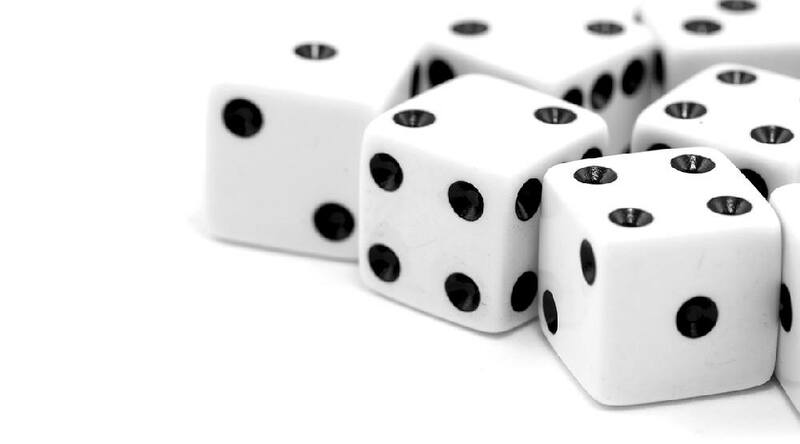 I don’t think God creates the dice, but I do think the framework for the dynamics of randomness necessarily exists in a world which could best respond to God. So in that sense, God could not have created a world in which total tragedy (by human definition) does not occur, because God has not unilaterally controlled the creation of the world. I do think creation is a continuous event vs. a one-time occurrence. But there does not need to be divine “intervention” in creation in order for creation to best respond to God’s call.